There’s a reason Shimano’s been selling the PD-M540 since early 2004, without discontinuing it. 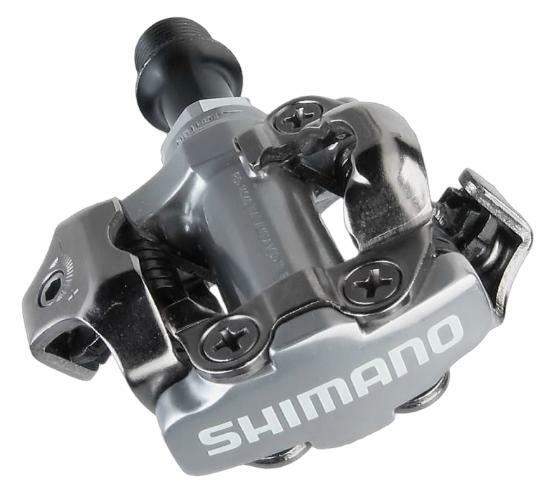 It’s one of the most popular SPD clipless pedals. The M540 pedal is a high quality product, affordable and has more value than more expensive pedals. With properly installed cleats on the SPD shoes, clipping in and out of the Shimano M540 is smooth and predictable. Those new to clipless pedals can decrease the spring tension until they feel more confident. For more aggressive riding, increase the tension to prevent accidental release, in case your heel inadvertently twists while pedaling. There are 2 adjustment bolts on each pedal. Be sure to adjust the tension on both sides of each pedal. You’ll need a 3 mm Allen key for this. Shimano’s PD-M540 are all metal and feel solid. 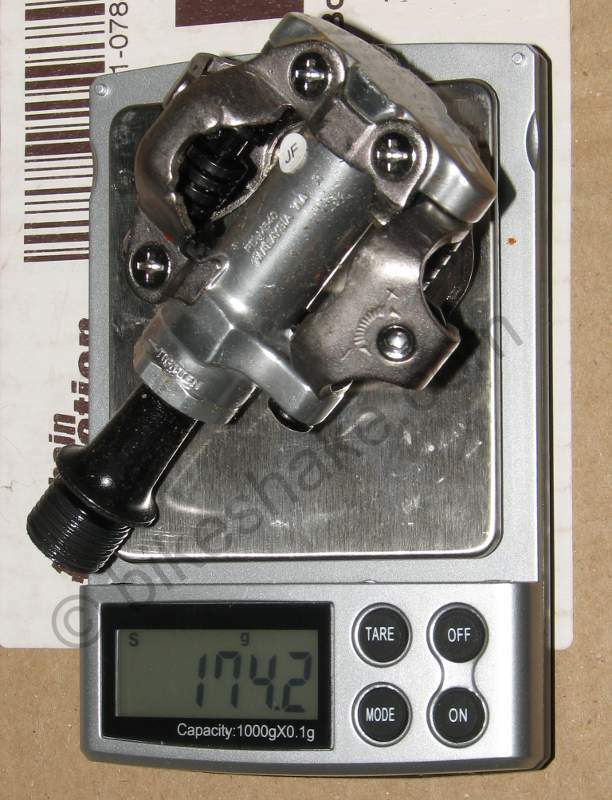 A pair weighs 350 g. To install the pedals, you’ll need an 8 mm Allen key, not a 15 mm spanner. This is one of the reasons I like the M540 pedals; I like taking tools with me on my longer rides, and an 8 mm Allen key is more compact than a 15 mm pedal wrench. An 8 mm Allen key to remove the pedals from the cranks. A 17 mm wrench to unscrew the axle. A vice to hold the axle while you adjust the bearings. You can manage without it, but it’s a lot easier with it. One 10 mm, and one 7 mm wrench to adjust the bearings. Grease the bearings (generously) before reassembling. I suggest you replace the ball bearings when servicing. The size of the balls is 3/32″, and you’ll need 26 of them for each pedal. I recommend G25 (grade 25) balls. 100 of them should cost around $6. 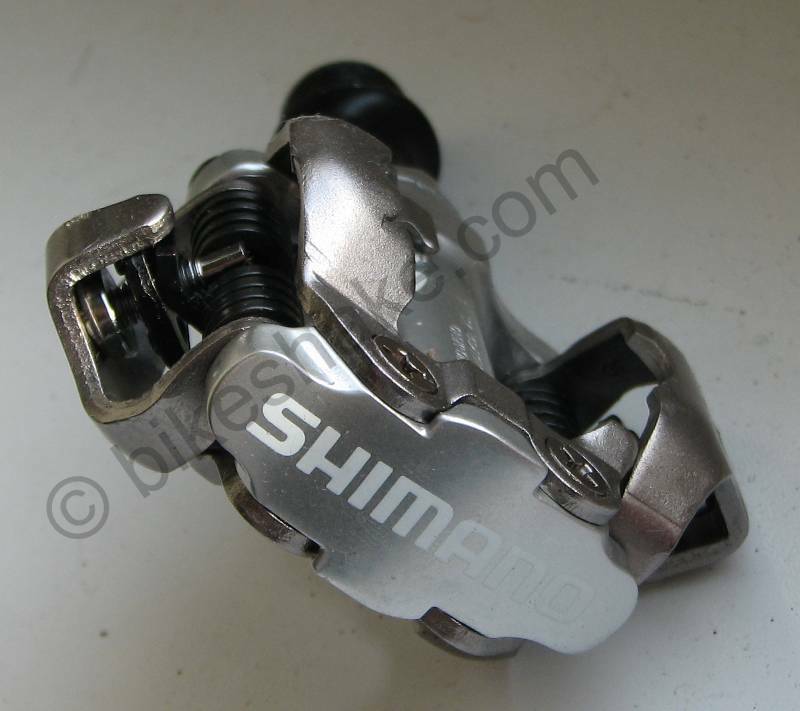 Shimano designed the M540 pedals with mud shedding in mind. So dirt won’t be a problem in either on-road or off-road cycling. Also, the bearings are sealed, keeping (salt!) water out. Get the M540 pedals from Amazon, CRC or Wiggle.